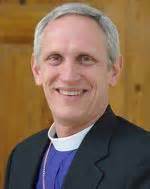 Terrell was elected as a missionary bishop in 2008 and played a significant role in the development of Anglican Church in North America. He has served as Rector of St. Andrew’s Mt. 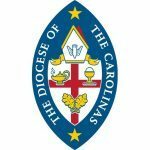 Pleasant, Rector of All Saints, Pawleys Island, Planting Pastor/Rector at Church of the Apostles in Raleigh, NC, and Planting Pastor/Rector at Church of the Apostles in Houston, TX, and now as Lead Pastor, St. Andrew’s City Church (Charleston, SC). He continues to exercise leadership in the College of Bishops where he serves as Dean of College Affairs. His passion is connecting people to the presence and power of Jesus Christ. Terrell is married to Teresa (visit Teresa’s Blog) and together they have three children, Terrell, Ellison (Carter), and Cecilia. Terrell is a graduate of both The University of South Carolina and Virginia Theological Seminary.